The Burberry Prorsum Fall/Winter 2013 series bursts to life with hints of animal print interwoven into a dapper collection. 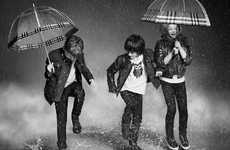 Burberry Prorsum is tailored to a youthful market and appeals to the wild side of every young man with a keen eye for fashion. 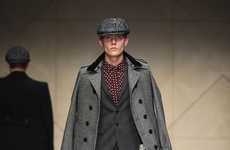 The Burberry Prorsum F/W collection is compiled of extremely well-tailored garments. Each piece can become a staple and functions as a multipurpose piece. In the collection one sees the return of the signature Burberry trench, but the accessories and footwear are where things change. The 2013 presentation features leopard print loafers, a full-length cheetah dress coat and zebra-laden lapels on a black button-up. 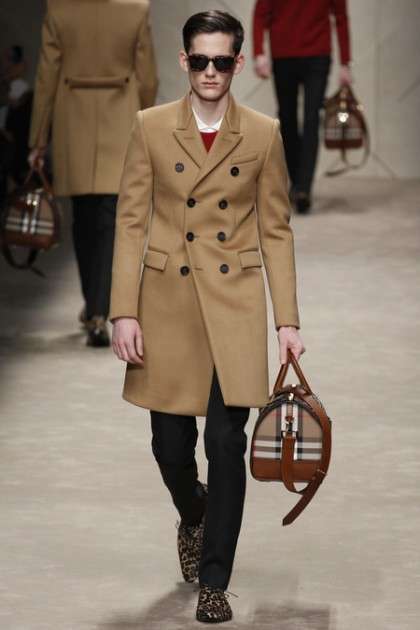 The Burberry Prorsum Fall/Winter 2013 collection is fierce, preppy and sure to start a fashion frenzy.